Residential rental property clean out. Talk about a real chore. And, a time-consuming one at that. So, you don’t want to commit unforced errors. Too many landlords, property investors, and property management services have made them. And, these serve as great lessons for the future. Unfortunately, the wrong rental home clean out mistakes can easily extend vacancy much longer than necessary. In the worst cases, such errors cause a whole lot of strife and frustration. 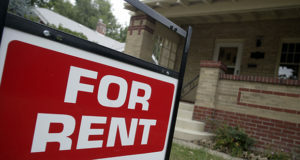 The reality of owning a rental property is there will be vacancy periods. Experts advise rental home owners to have at least three to six months of cash reserves on-hand each and every year. When the property is empty, it won’t (by definition) be generating an income. Which means you’ll be quite eager to get a tenant in and paying rent as quick as possible. Now, if you have a messy rental home property and the tenant left a bunch of junk behind, you might be tempted to simply rent a dumpster and throw it all out. But, even if you could legally do this, you shouldn’t and here’s why. First and foremost, when you rent a container, you must order the right size. Too small and you’ll need to rent it again. Too large and it’s wasted space you paid for. Not making all the needed repairs. When the tenant leaves, this is an opportunity to make improvements to make it more appealing. And, to help bring up the standard of living, as well as the appraisal value. Failure to document its condition. Right after a tenant vacates the rental property, it’s really important to document its condition. Take plenty of photos and jot down notes, as well. When you need residential rental property clean out, just phone 800-433-1094 or visit Junk Garbage Removal.